No staking system is perfect. Some (Martingale et al.) are not even close. However, Kelly Criterion is proven to be the best way to grow your wealth. 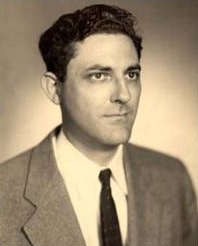 John L. Kelly was a colleague of the inventor of information theory, Claude Shannon. Kelly used information theory to show the optimal way to grow a bankroll. The Kelly Criterion formula tells the trader the optimal bankroll percentage to risk. Percentage stakes is superior to level stakes but choose to high or too low a percentage and you will not profit as much from a winning system as you can with Kelly. Here is a by no means complete list of Kelly Criterion citations, starting with Kelly's seminal work. Kelly, John. "A new interpretation of information rate." IRE Transactions on Information Theory 2.3 (1956): 185-189. Breiman, L. "Optimal gambling systems for favorable games." The Kelly Capital Growth Investment Criterion: Theory and Practice (2011): 47-60. Chapman, S. J. "The Kelly criterion for spread bets." IMA journal of applied mathematics 72.1 (2007): 43-51. Noon, Edmund. "Extending Kelly Staking Strategies to Peer-to-Peer Betting Exchanges." (2014). Noon, Edmund, William J. Knottenbelt, and Daniel Kuhn. "Kelly's fractional staking updated for betting exchanges." IMA Journal of Management Mathematics 24.3 (2013): 283-299. Noon, Edmund, and W. Knottenbelt. "Market making with an inverse Kelly strategy." 4th International Conference on Mathematics in Sport. 2013. Kelly Criterion does not calculate a probability. The inputs are probabilities and odds, the output is a fraction. We know odds for sure. We do not know probability. We often calculate probability as 1/odds. If we do so - the criterion is useless. You have to create your own odds. Either fundamentally with past performance data to create an odds line or technically with strike rate for a particular technical trading strategy. Also, you can use fractional Kelly's to account for variance. It can be done. I do it and so do others. I refered to technical trading where you have (for example) a 50% strike rate and your yield gives you an edge of say 5%. That is the same as odds, the odds put on your ability as a trader and not the odds of the underlying event.